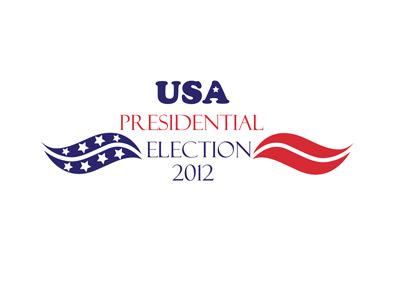 Who Will Win The 2012 US Presidential Election? 100 days from today, US voters will be heading to the polls. Will US voters make Barack Obama a two-term President, or will US voters send Mitt Romney to the White House? The country was in undeniably rough shape when President Obama took over nearly four years ago. One of the biggest questions of this election cycle will be - has Obama done enough to help resuscitate the economy? The answer to that question will decide this year's election - there are many issues that are on the minds of US voters, but the economy/jobs is #1. Does the country need a change (Romney), or does Obama deserve another four years? Has Obama made enough progress, or does the country need to start over? Will the country choose Romney's business acumen or Obama's likability and connection (based on recent poll numbers) with the lower and middle classes? One thing is for sure - this year's election is going to be another close one. Some polls have Romney and Obama neck and neck; some polls have Romney considerably ahead of Obama; some polls have Obama considerably ahead of Romney. As is usually the case with Presidential elections, the "swing states" will determine who gets into the White House. It should be no surprise to learn that the Obama and Romney campaigns are already heavily spending in the "swing states", and plenty more money will be doled out in the next 3+ months. Super PACs are going to be heavily involved in this year's election cycle as well. Just last week, $13,865,671 was spent by SuperPACs, with nearly $1.3 million being spent to oppose Mitt Romney and nearly $800k being spent to oppose Barack Obama. SuperPACs are a relatively new beast, and their impact on the upcoming election can not be understated. SuperPACs will be behind many of the really negative ads that you will see over the next 3+ months. As the Washington Post points out, much can change over the next 100 days, as evidenced by events that took place during the last 100 days of previous Presidential elections.